Built as a whaler in 1835 at Fairhaven, Mass. for Atkins Adams, Fairhaven. 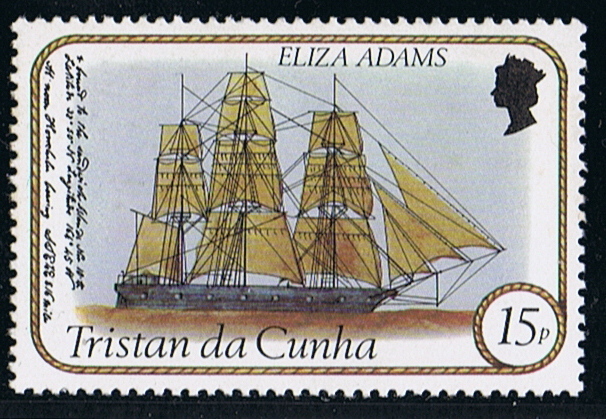 Launched as the ELIZA ADAMS. 21 November 1935 she sailed from Fairhaven under command of Capt. John O. Morse for the whaling grounds in the Pacific. 15 July 1838 returned home with on board 3.230 brls. sperm oil. 22 October 1838 sailed out under command of Capt. Holley for the Pacific, returned home 23 January 1842 with on board 2.771 brls sperm-oil. Made two more whaling voyages for this owner to the Pacific. 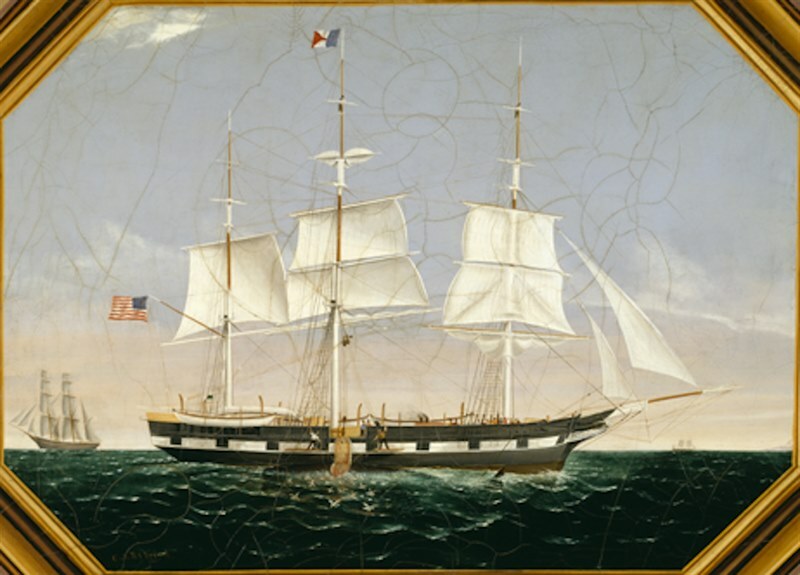 After her last voyage in 1849 she was sold to New Bedford to E.C. Jones. For this company she made five whaling voyages between 1849 and 1867. 1867 Sold to Taber, Gordon Co., New Bedford. Sailed 22 July 1867 under command of Capt. Caleb O. Hamblen for the Pacific. 06 December 1869 she arrived at Hobart Town for provision. 16 May 1874 still under command of Captain Hamblen she arrived in Russell, Bay of Islands, New Zealand, at that time he had his wife Emily on board and three boys. 25 November 1874 the ELIZA ADAMS arrived in Akaroa, New Zealand and left the captains pregnant wife and three kids on shore, where after she set sail again. April 1875 she arrived again in Akaroa, and left (14 June 1875) one day after the captain wife gave birth to a boy. She visited Tristan da Cunha in December 1881 when she had personnel belongings on board for Rev. Edwin Dodgson, she stayed about 6 miles off the island due to lack of wind, and Captain and Mrs Howland landed in one of their boats to visit them and buy potatoes and beef. Till the ELIZA ADAMS was dismantled in1898 she was sailing for this company under various captains also as a whaler. Her last captain was Howland. Tristan da Cunha 1982 15p sg324, scott307. 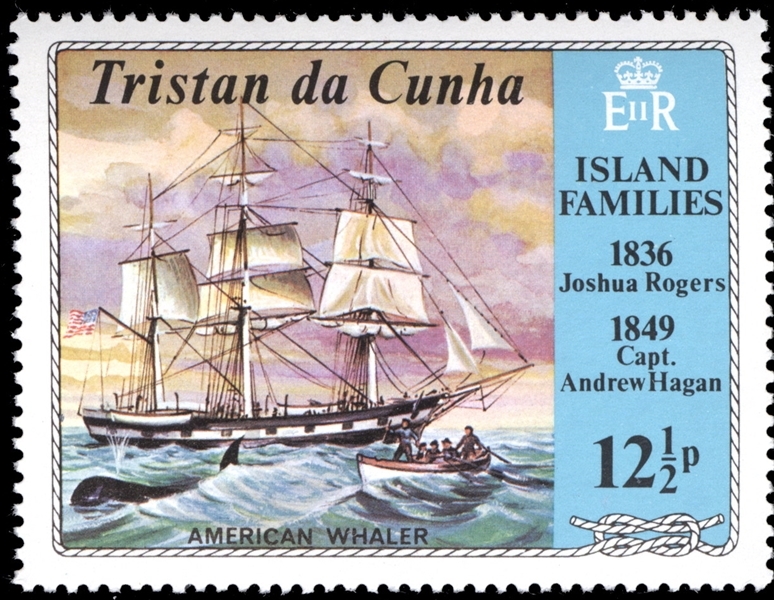 Tristan da Cunha 1971 12½p sg157, scott161 ( The stamp is designed after a painting made by Charles Sidney Raleigh (1830-1925) and given in the book Whale Ships and Whaling by Dow page 150. Navicula 1994 page 4662. Source: History of the American Whale Fishery by Alexander Starbuck. Petticoat Whalers by Joan Druett. Whalers out of van Diemen’s Land by Harry O’May.